Yesterday we experimented with another idea I’ve seen suggested a few times on blogs / Pinterest etc. Basically a tub full of shaving foam! 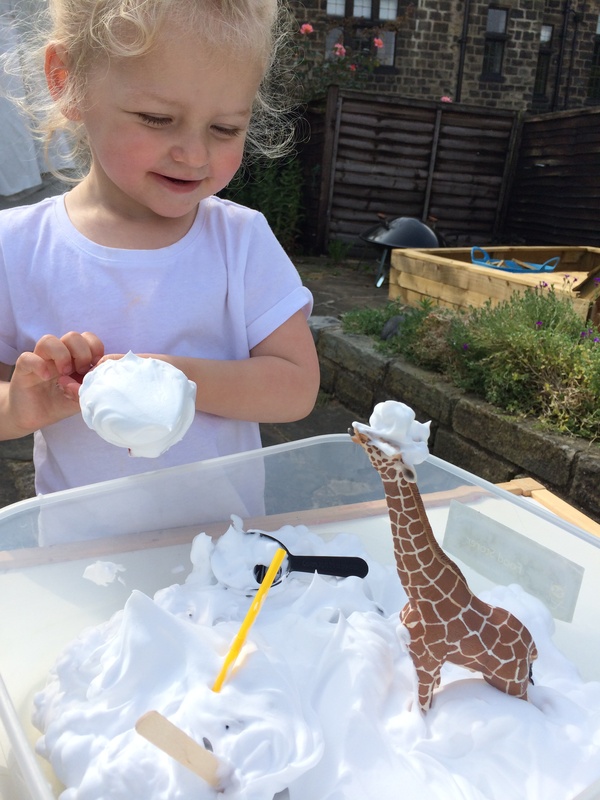 Rosie was intrigued by the mysterious goo / snow. I popped a few measuring spoons and plastic animals / Lego men in to the mix and just watched to see how Rosie would interact with the gloop! She was very cautious at first and didn’t want to get any on her fingers but gradually got a little braver. Although she never did want to get much on her hands! I gave her a water sprayer and a tub of water to wash her toys with and she started to enjoy it more then. 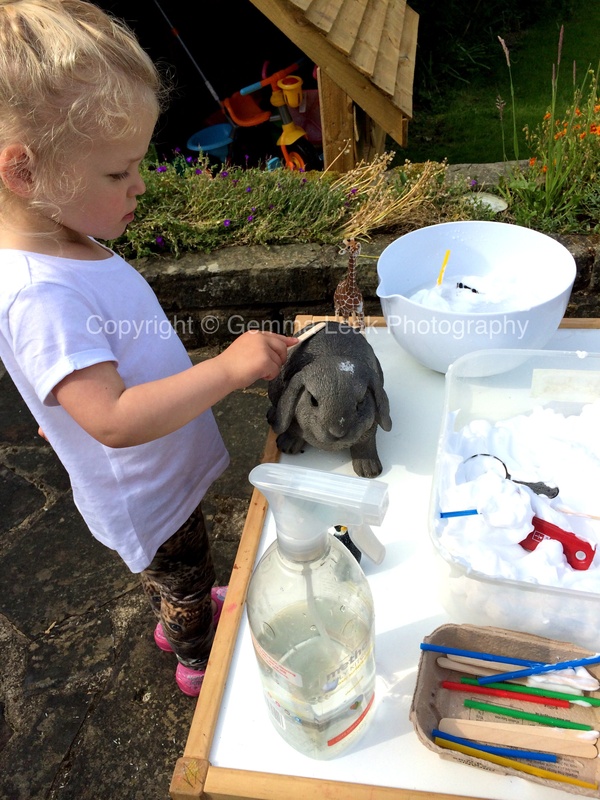 She even went and sourced her garden ornament rabbit and washed his hair. 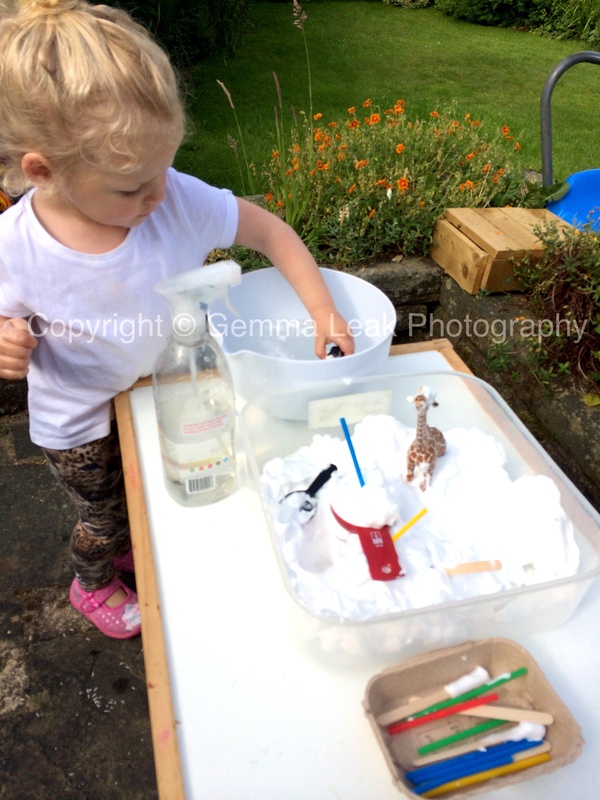 After a little while I gave Rosie some food colouring to drop in the foam and stir up. This activity didn’t entertain Rosie for as long as the Rice tray did (previous post) but Rosie did enjoy it. 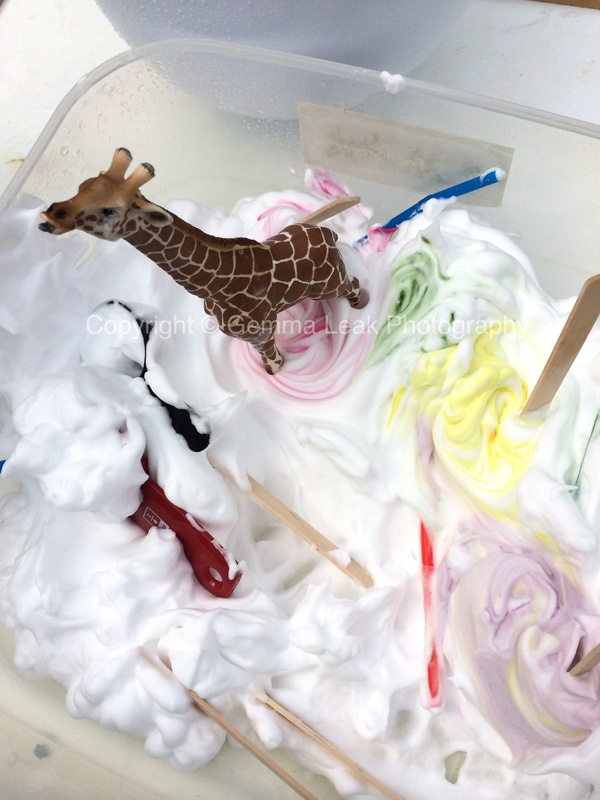 Have you tried any sensory fun tub ideas? Please share them here if you can. 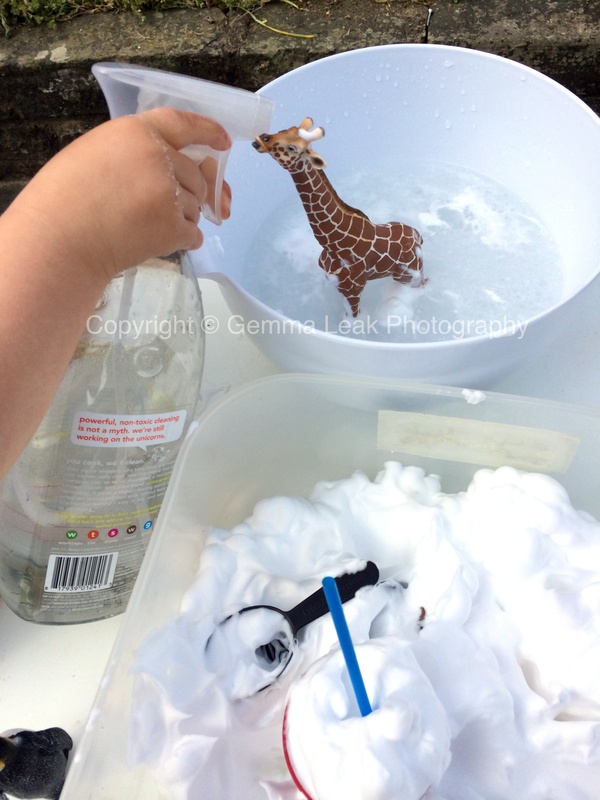 This entry was posted in Activities we love ... and tagged Preschool activities, Sensory tub, Shaving foam. Bookmark the permalink.